Join in the fun, it really is a sight when nearly a 1000 ducks 'swim' (race) along the canal at the Knysna Waterfront. I agree to abide by the rules of the MTBX presented by MTBX. Parent/guardians of minors confirm by ticking this box that this minor (if under 21 years) may compete in this event. On Saturday, 29 December at 12h00, find a good spot on the harbour walls at the Knysna Quays for the SPLASH Quack Attack, a fun yellow duck race for up to 1,000 ducks! 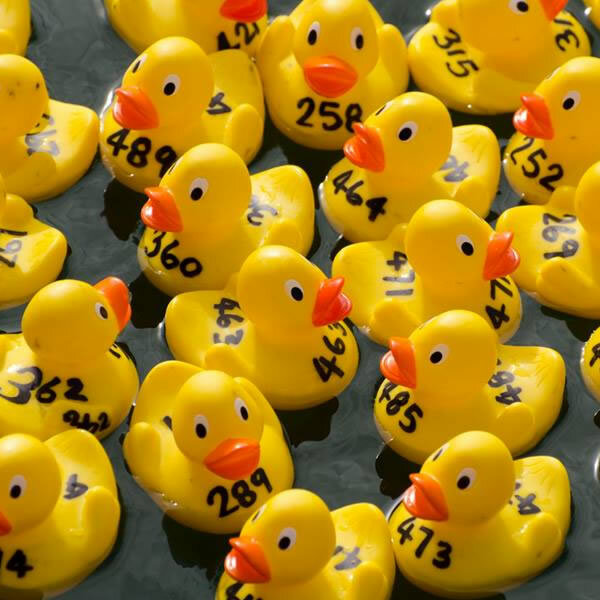 Buy a numbered duck for R30 and watch it compete in the heats. The idea is for the tide and wind to encourage the ducks to ‘swim’ along the water canal under the bridge. Racing will consist of 5 or more heats with the first 10 from each heat racing in the final. Total prize money to be announced and the person holding the winning number of the first duck over the line will win to be announced as well as second and third place.